The new Tony Kart driver, Matheus Morgatto, is ready to run for a leading role in 2019. 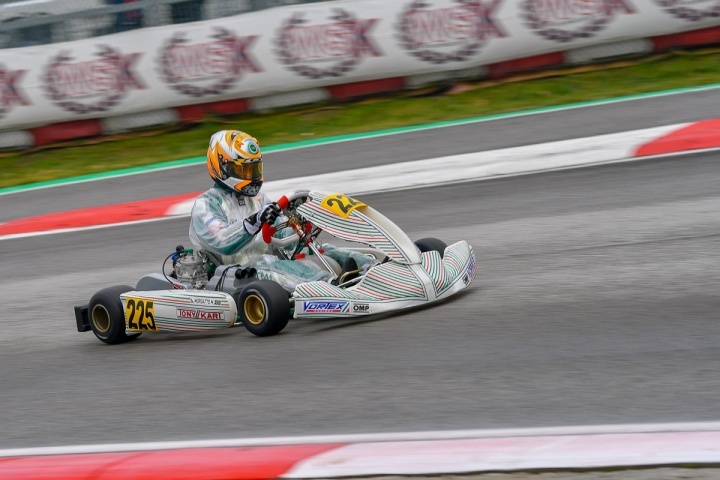 After a past and victories in American races, the Brazilian of Sao Paulo will be at the starting blocks of the new European and FIA World Championships with Tony Kart colors. Following his debut in the last races of 2018, Morgatto gave proof of his skills, deserving the official Tony Kart seat for the current season. Excellent his performance during the recent appointment with the Super Master Series OK of Adria where, Morgatto, amazed the competition with a remarkable run through the field to finish 13th after gaining as many as ten positions. Will he be ready for FIA races? Word – and the answer - goes to the track. - Matheus, are you ready for your complete season with Tony Kart? Not only am I ready but also very enthusiastic and happy to be part of this great team. - What do you think of the European races that you will do and what are your goals? To participate in the European races has always been a dream, since it’s the pole of motorsport, and to participate by being in the Tony Kart is better. For this season, my goals are to drive in the top 5, but preferentially conquer the best positions and add a lot to the team, just as they have added to me. - Do you feel strong enough to compete with the first? I believe in my potential and feel prepared to compete with any driver. I'll do everything I can to get it. - Do you have any idea who your opponents will be? I have some idea, but I'm not sure. It’s still unknown who will be my direct opponents.